Dear Bro: can GMC increase the font size of its decaf label? Our trip provided three days of high energy fun but rest time was at a premium. Last night, it was a treat to finally sleep in my own comfortable bed and I looked forward to waking up feeling refreshed and ready for good long run. I got up a little before 6:00 AM and made a cup of coffee to start my engines. Instead of feeling rested and energized, I felt like going back to bed. I decided to relax for the time being, even though I wanted to get out early to beat the heat. I couldn't understand why I felt so tired, but I managed to gather my gear for my run. 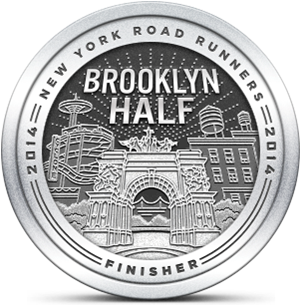 I had been thinking about a six miler, possible at Bethpage, but I couldn't shake the feeling of fatigue. I decided to stay local and modified my targeted distance to three miles. I figured it would be better to do something, rather than not running at all. The sun was still low in the sky when I finally took off at 8:30 AM. I kept an easy pace that I knew I could sustain. The humidity wasn't as bad as it was during yesterday's afternoon run, and I knew I could get through a short workout without much problem. I thought about the track workout I did with SIOR and TPP a few weekends ago when I logged some decent 400's. I tried to duplicate the turnover I used to make those sub-8:00 quarters, but the speed didn't come today. Surprisingly enough, I was able to beat today's shortened goal. In fact, I covered more distance than yesterday, when I barely got through four miles. Still, I was unusually tired after I finished, and that fatigue continued after a cooling shower and lunch. I decided to have another cup of coffee, hoping that would wake me up and help me get rid of a dull headache. That's when I discovered the probable cause of my lethargy. 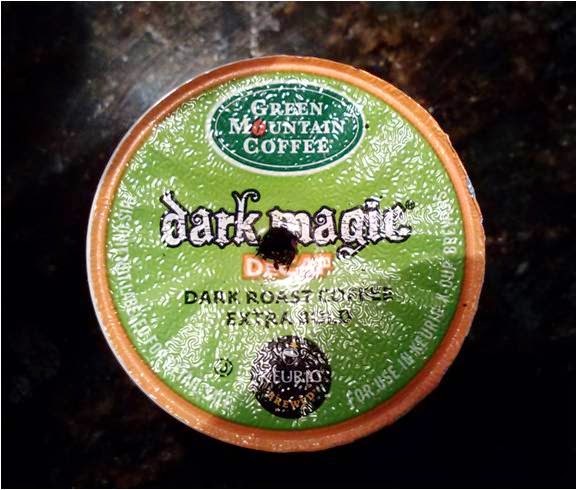 When I removed this morning's spent K-cup, I realized that I'd accidentally put in decaf version of Green Mountain Dark Magic. I had been operating caffeine-free all day, no small thing for me. I don't need much caffeine, but I definitely need it in the morning. One cup is all it takes to return me to the world of the normal. I quickly made a cup of leaded and, within ten minutes, I was energized and headache free. Tomorrow I'll try to break out of my four mile range with a longer run. I'm not sure where I'll go, but you can be sure I'll be starting my day with an extra strong cup of caffeinated brew. I think a K-cup would be very uncomfortable if it was used that way. 46 second quarters is like a 4:20 pace. I'd be happy with double that.